Halloween is coming up and we love these adorable costume ideas! No itchy or uncomfortable fabrics to make dressing-up even more enjoyable. With Halloween right around the corner, we are so excited to see all of the neighborhood kids dressed up! Though sometimes, dressing up can be not-so-fun for little kids. And we understand why... Typical costumes are often uncomfortable, itchy, or hard to put on. As a parent, it's never fun to see your child struggle or to feel like you wasted effort on a costume you'll probably only use once, for the half an hour he or she kept it on! 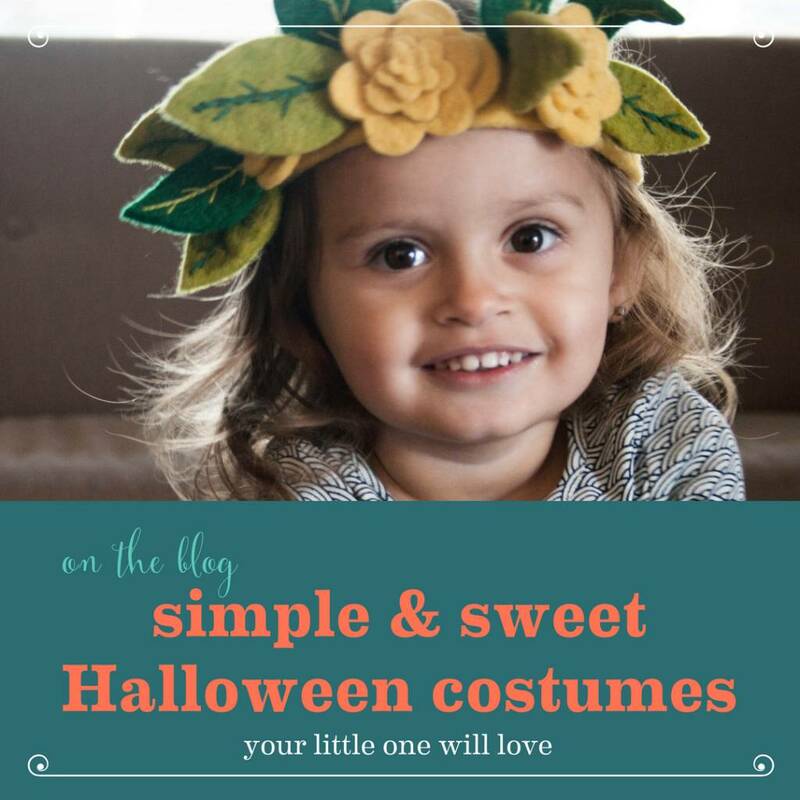 So, we put together three simple and sweet Halloween costumes that are totally different from the norm. Materials are all comfortable and organic fabrics. Many of these ideas come from toys that your little one will want to use over and over. Better for you, and better for the environment! 1. Flower Shop Girl - Seen modeled on the title picture, this Fiona Walker Princess Fairy Headband is just breathtaking. It's handmade with care and looks gorgeous on your little one. Great for toddlers around age 2 and up! We decided to take a little twist and instead of go the traditional princess fairy route, we mixed it up and came up with the most adorable 'Flower Shop Girl' costume! 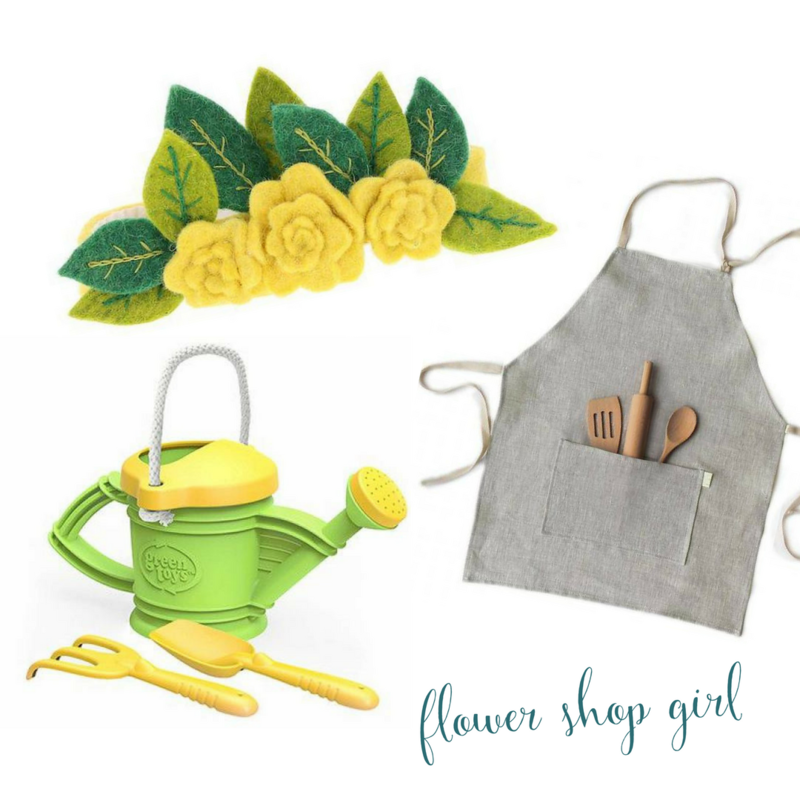 Paired with the natural apron and Plant Toys watering can, you've got everything you need for an original costume that will also be timeless toys in her playroom. 2. Awesome Astronaut - Who doesn't want a trick or treater with a card board astronaut helmet to show up at their door? Talk about the cutest thing ever. We love how Seedling products allow your child to be a part of their costume-making. 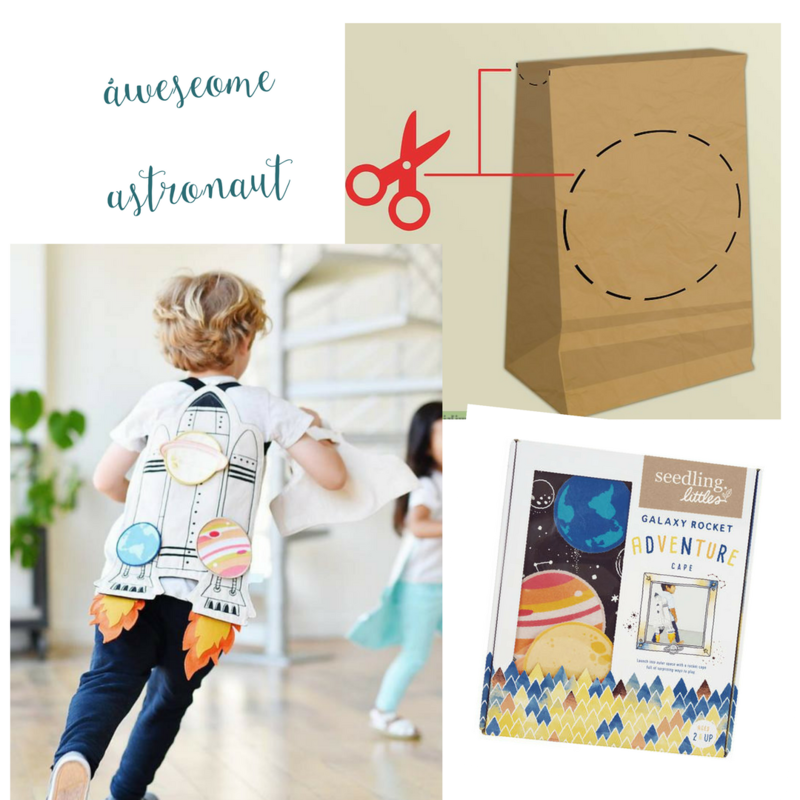 We chose the Make-your-Own Rocket Ship Cape kit and googled some ideas for making an out of this world helmet. If you're an advanced crafter - try making one out of a balloon and paper-mache! If that sounds like a little much, we love the paper bag or cardboard box option -- it's also a great way to teach reusing and recycling. Seedling also offers a Create-Your-Own Super Hero Cape & Mask. 3. Snuggle Lovey Bear - Every baby has a favorite teddy bear or lovey in the first year. For the littlest of trick-or-treaters, the new L'oved Baby Onesies in fall hues are perfect for a base to dress them up in many different ways. 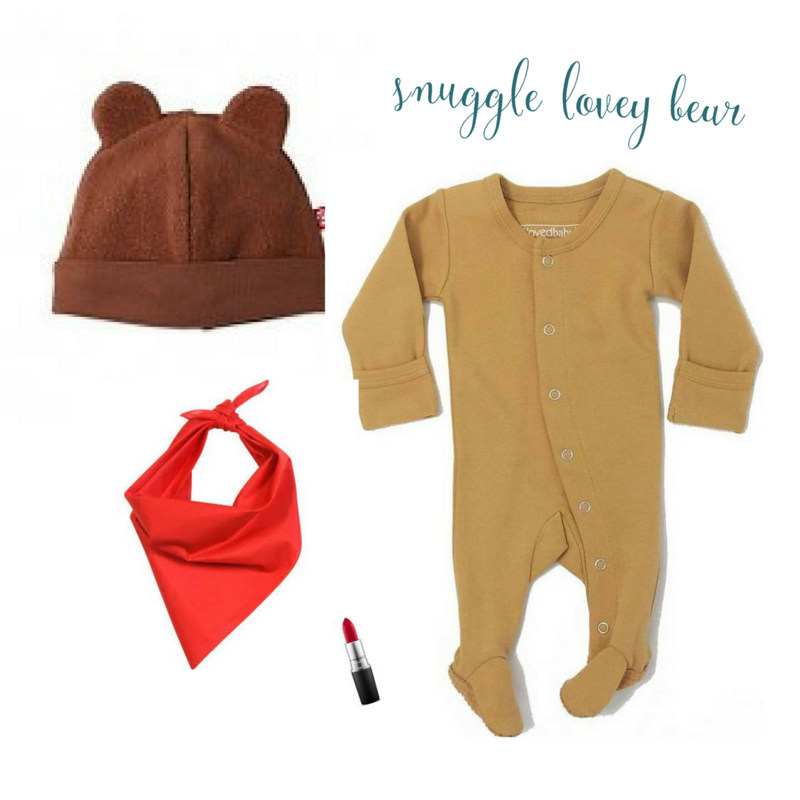 We went for comfort and simplicity, pairing the Honey colored onesie with a Zutano bear-eared beanie. Add a red bandana to resemble Winnie the Pooh! Grab a red or pink lipstick and do a simple heart on your little one's nose... all of a sudden he or she will be the cutest snuggle bear on the block. Extra bonus points if they bring their own favorite snuggle bear with them! We hope these ideas helped you to find the perfect costume or get your creative juices flowing. Please stop by and see us on Halloween at Hazel Baby & Kids!